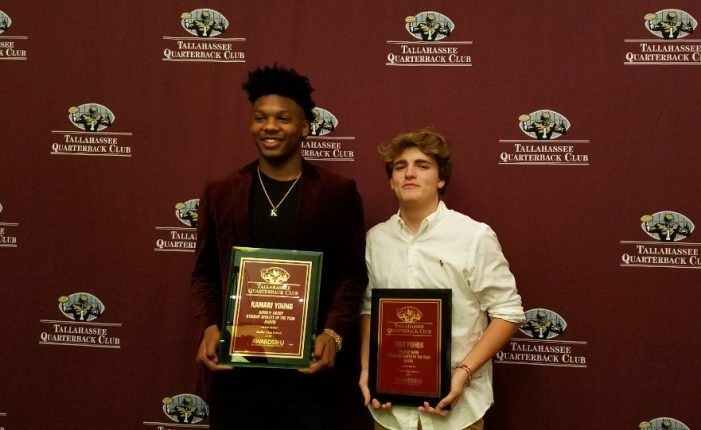 On Tuesday, December 11, at the University Center Club of Florida State University, the Tallahassee Quarterback Club presented end of the season awards to a host of Tallahassee Area football players. Around 150 people attended the event, known as the Jamboree, and though the awards focused primarily on high school student-athletes, several awards recognized collegiate student-athletes from FAMU & FSU and one head football coach. Tim Brando, who calls sporting events for Fox Sports, was the ceremony’s featured speaker. Mr. Brando spoke directly to the youth saying, “Don’t let anybody tell you: ‘Oh those kids today.’ ” Mr. Brando said, “I see more of what’s right with the youth of today because of athletics.” He pointed out that athletics bring values like “commitment, purpose, and passion” to the surface of life. The Tallahassee Quarterback Club has been part of our community since 1949, when it was founded to support high school and college football. 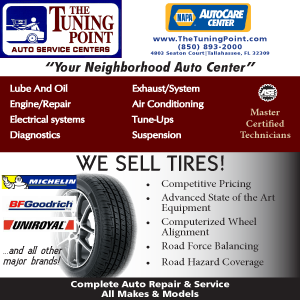 To learn more about the Tallahassee Quarterback Club, visit their website at TallahasseeQBClub.com. Tallahassee’s peewee Pop Warner football team received special recognition for winning this year’s national championship. One Response to "More Than Athletes: Tallahassee Quarterback Club Celebrates the Accomplishments of Our Football Community"
Godby wins the district title and the only one to receive an award is Trey Fisher???? No wonder their coach went back to Gadsden County. No appreciation at all. Maybe he can help those kids win a game and get them some positivity out that way.